After Nancy Watling fell through the floor of her Mississippi home, the Fuller Center Disaster ReBuilders and her home church, First Presbyterian of Ocean Springs, knew they had a project on their hands. 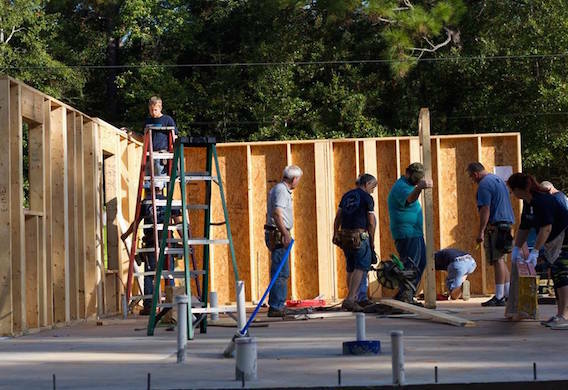 The Disaster ReBuilders group is spending the next two weeks completely reconstructing the home, starting on a new slab and working their way up. The church was able to provide all materials and services. Led by Bart Tucker, the ReBuilders are no strangers to the Mississippi Gulf Coast, having built 105 homes in the area, most being responses to Hurricane Katrina. The group will be working in Ocean Springs through next week.